All screenings cleared between April 1, 2016 and March 31, 2017 will be valid for the 2016/2017 and 2017/2018 seasons expiring on August 31, 2018. All screenings cleared between April 1, 2017 and March 31, 2018 will be valid for the 2017/2018 and 2018/2019 seasons expiring on August 31, 2019. All screenings cleared between April 1, 2018 and March 31, 2019 will be valid for the 2018/2019 and 2019/2020 seasons expiring on August 31, 2020. During the Fall/Winter season, the Compliance List will be updated on a weekly basis. During the Spring/Summer season, the list will be updated on an as needed basis. Coaches and team managers will not be approved on a team roster until their name appears on the CAHA Compliance List. CAHA has contracted with the National Center for Safety Initiatives (NCSI) to conduct all background screenings for volunteers or employees in youth programs. 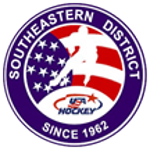 CAHA's background screening through NCSI will meet all background screening requirements as per USA Hockey's SafeSport Policy. The mission of NCSI, formed in partnership with the National Council of Youth Sports (NCYS), is"to serve as our country's premiere resource in an overall effort to eradicate harm and loss in organizations and communities across the globe through increased awareness and training, the creation and implementation of national standards and the integration of fully managed risk management programs, inclusive of background screening." Background Screening Only - standard background screening. Background Screening plus MVR - standard background screening plus a Motor Vehicle Record check for team drivers. MVR Only - Motor Vehicle Record check for team drivers that have a valid background screeing. All team bus/van drivers (unless professional transportation companies are used) are required to complete an MVR check prior to transporting youth members for team sponsored travel. All background screenings generally take 10 days for completion. You may check your screening status on the NCSI website, www.ncsisafe.com by clicking the "Check Your Background Screening Status" link.